The Crossfire Grill serves savory beef brisket, pulled pork and roast turkey sandwiches along with smoked ribs and sausage. Their side dishes include jalapeno beans, southern slaw, smoked cheesy potatoes or chips. Alcohol served. Click here to view the menu. 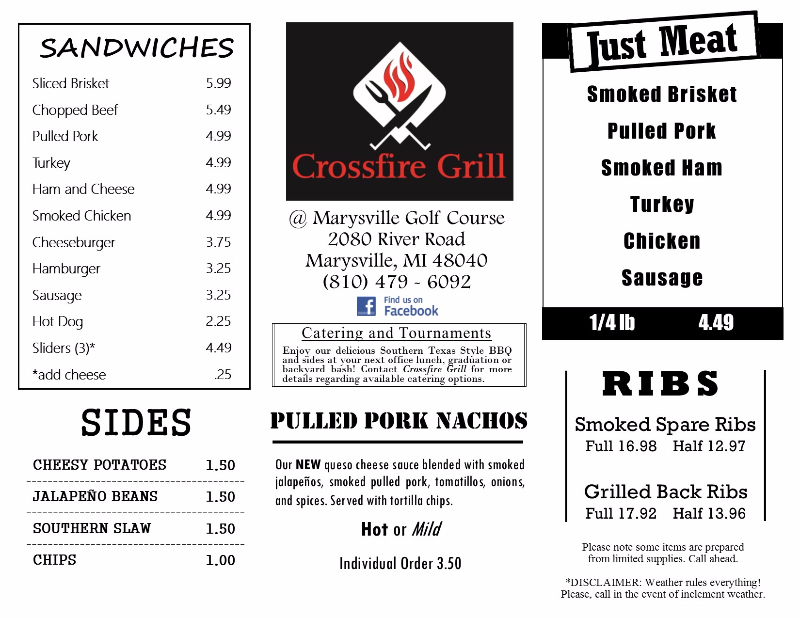 Crossfire Grill is located in the little wooden building just outside the Pro Shop. Eat your meal at one of the picnic tables or get it to go!! Copyright © 2019 Marysville Golf Course All Rights Reserved.